Fashionmoda is introducing a range of prom dresses and special occasions dresses designed by Manna-Gibbs. 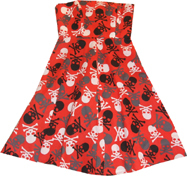 Dresses are one off designs and are available in various sizes. All dresses are fully lined. All Strapless dresses have inserted bones for perfect fitting bust.